Mar. 15, 2019 — A planned gift of $4.25 million from a Denver-area cardiologist and farmer will honor his father’s legacy at Grinnell College while benefitting future biology students. The gift from Carlos Mendoza ’72 will create the Dr. Guillermo Mendoza Endowed Chair. The new position in the biology department will be awarded in the future to a faculty member with exceptional academic, scholarly, and teaching achievements. Those qualities also suitably describe Guillermo Mendoza who served as a biology professor and pre-med adviser at Grinnell for 34 years. Guillermo helped shape the lives of countless students who went on to careers in the science and medical fields, including Carlos and his older brother, Guillermo R. Mendoza ’68. After graduating from medical school and completing his training, Carlos Mendoza voluntarily enlisted and served in the Army for three years as a staff cardiologist. Then followed 30 years in private practice. 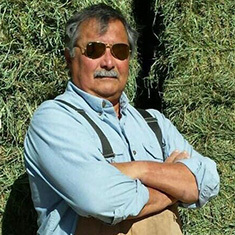 In 2012, he retired from medicine to his 200-acre farm north of Denver where he remained busy with successful hay and llama-breeding businesses. About two years ago, Mendoza got a letter from the College describing how a couple used a charitable trust vehicle for their retirement planning. “I looked at that letter and said to myself ‘excellent, this idea fits me perfectly,’” Mendoza says. While working as a cardiologist, Mendoza was living in a typical house in a Denver suburb. He wanted space for his dogs and a change of scene, so he started looking for a 5-acre parcel. Instead, his realtor found the 200-acre property. Mendoza gradually taught himself farming. He started researching what would be the best crops, and decided to raise pasture grass for hay. Meanwhile, the City of Frederick, Colorado, was looking to maintain open space and investing in suitable properties for the future. The open spaces and water rights on Mendoza’s farm became attractive. Llamas raised by Carlos Mendoza ’72 graze on the 200-acre Colorado farmland Mendoza is selling to benefit Grinnell College. The city was a willing buyer, Mendoza was a willing seller, and it took all of five minutes in a meeting with a Grinnell College development officer for him to realize he wanted proceeds from the sale to benefit his alma mater. Mendoza made his gift to Grinnell by contributing his farm to a Charitable Remainder Unitrust, which provides him immediate tax benefits, as well as lifetime retirement income following the farm’s sale. The remainder value of the trust will eventually establish the Dr. Guillermo Mendoza Endowed Chair. 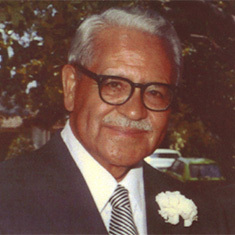 A zoologist specializing in the study of a variety of fresh-water fishes unique to Central Mexico, Guillermo Mendoza’s long academic career included research and teaching biology, comparative anatomy, embryology, genetics, histology, and electron microscopy. He published numerous research papers, held offices in numerous professional societies, and served as chairman of the department of biology and the division of natural sciences at Grinnell College. He held the position of Stone Professor of Biology from 1961 until his retirement in 1977. While in Grinnell for his high school reunion in October, Carlos Mendoza met with College leaders and spent a large part of the day with biology professors. To learn more about supporting Grinnell College with a life income gift, please contact Buddy Boulton, director of planned giving, at boultonb@grinnell.edu or 641-269-3248.